By the time Friday comes around I am usually ready to relax after work. This weekend was no different. I spent the evening making dinner and watching Netflix. I love eating out but always feel better when I make my meals at home. I know what I’m eating and have control over the ingredients. It’s a plus that I enjoy cooking! Here’s a look at dinner. The chicken recipe has become a go-to that’s both incredibly easy and delicious. 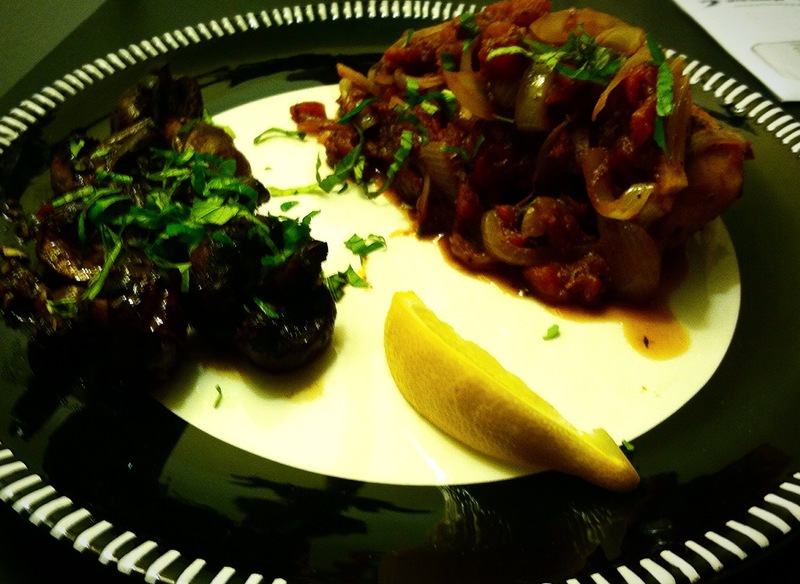 The mushrooms were a new recipe I tried but equally as delicious. Unpictured was a spinach and arugula salad – I always try to include one with dinner to get in more greens. I really like to start off my weekends with a good workout. Surprised? 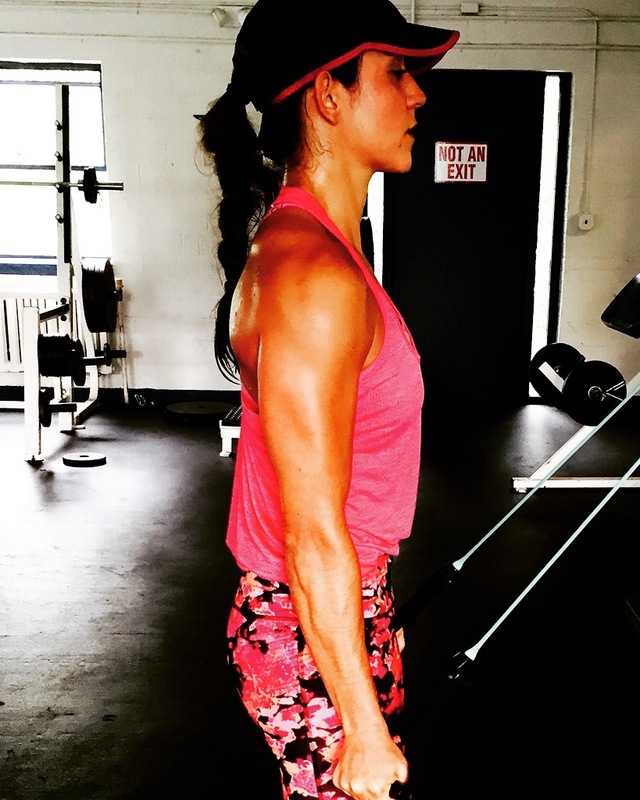 Since I also have more time on the weekends I also like to spend a longer time in the gym than normal – usually 1.5 to 2 hours. It’s not full intensity every minute. I like to take time to work on things I don’t normally get a chance to and to try some new things too. 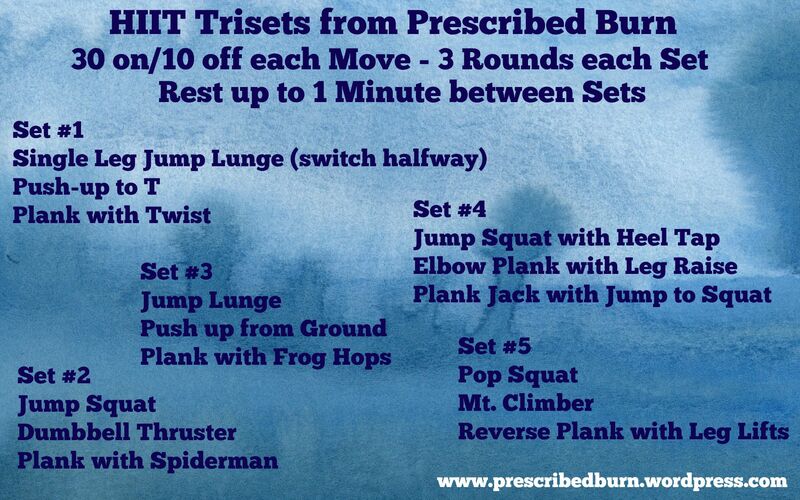 To spare you another barbell-heavy workout here is a new HIIT workout that I’ve used with my classes before. It’s a good one! 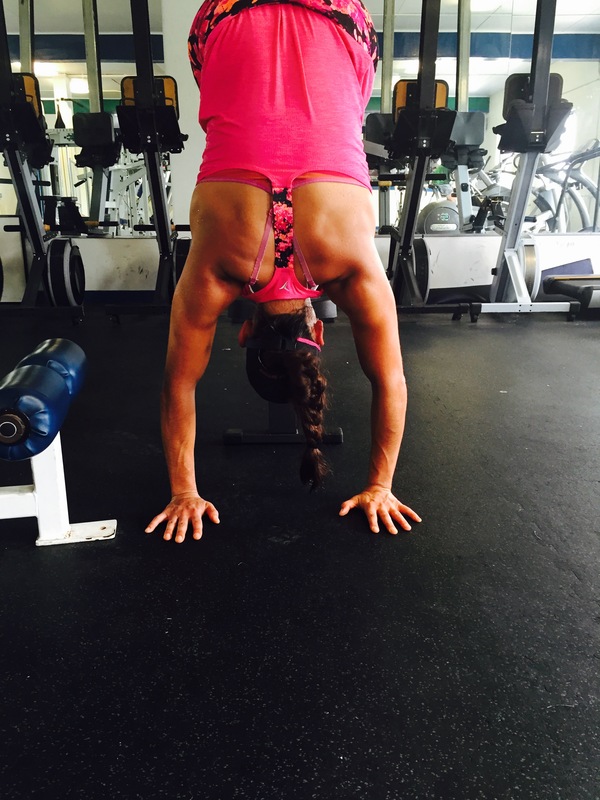 All you need is a set of dumbbells and a timer set for 30 seconds on/ 10 seconds off. If you don’t have dumbbells use soup cans or anything heavy you have or simply leave them out! After a lengthly workout I was plenty hungry for breakfast. True to form I met up with my dad to try a new spot. 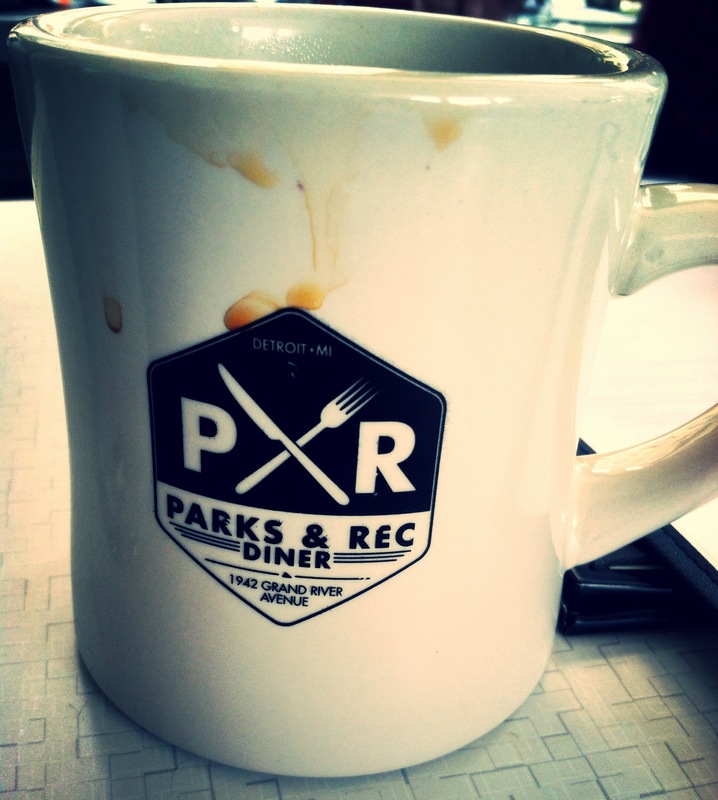 Parks & Rec Diner, which I actually shared a picture of in my last weekend snapshot. Everything was delicious! I will definitely be back. We stayed in Detroit for a while longer and visited the Eastern Market. I needed to get a gift for a friend out of state so I looked for Detroit stuff. 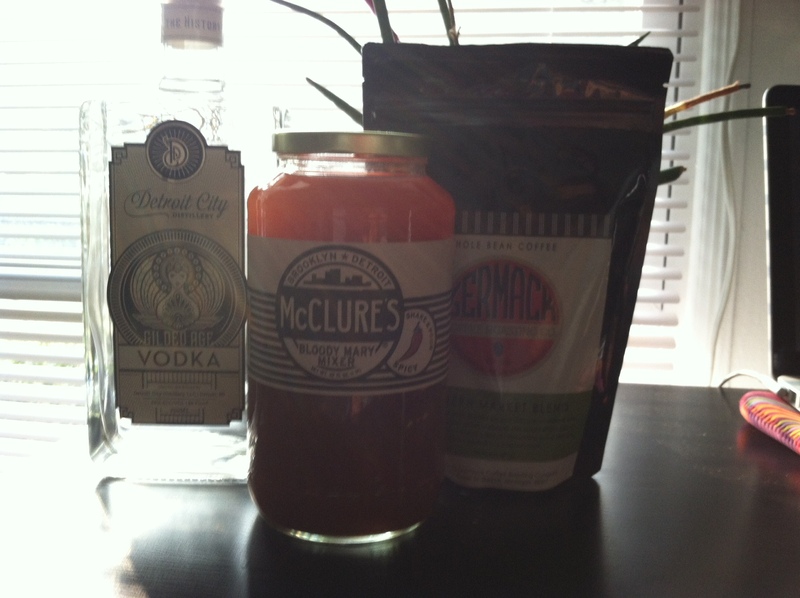 Vodka from Detroit City Distillery, Bloody Mary Mix from McClure’s and Coffee from Germack. I spent most of the evening at my apartment cleaning and then headed out for a friend’s birthday party later that night. I started Sunday with another great workout. This time I had my little sister tag along. It’s always fun to have someone with you. We had some fun taking pictures but we definitely worked hard! After the workout we grabbed a beer and had lunch. The rest of the day was more cleaning and relaxing. Next Post Back to Work!